Posted September 15th, 2016 by David & filed under Escorted Rail Tours, Rail Diaries, Rail News, Rail Product Blog, Rail Tours, UK Rail Tours. Featuring two of the ‘Seven Wonders of the Canals’, this active tour based in historic Chester offers exciting heritage from Roman times to the waterways and railways. This Canals, Steam and Historic Chester Rail Tour is a great escorted UK Rail Tour. 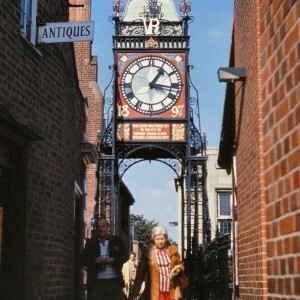 We arrive in Chester where our hotel is conveniently situated near the railway station. Afternoon stroll along the ancient City Walls to the Dee for a river cruise and charming views of the town from the water. Return through Chester’s attractive city centre. By train to Ellesmere Port to discover the colourful world of Roses & Castles at the National Waterways Museum. Enjoy a guided tour of the large collection of narrow boats, other canal craft and recreated workshops; time for further exploration at leisure before we cruise along the Shropshire Union Canal to Stanney Mill, before returning to Chester by train. Experience one of Robert Aickman’s ‘Seven Wonders of the Canals’. 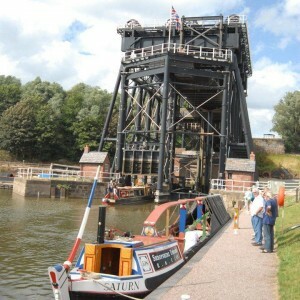 At the magnificent Anderton Boat Lift we trace the history of canal carrying and engineering and take the trip boat to descend the lift and cruise the River Weaver with refreshments on board. We return to Chester for an afternoon at leisure in the city’s winding medieval streets of black-and-white houses, its Roman museum, beautiful Cathedral, and the famous Rows. Walk the towpath below the towering walls, marvel at the massive and ingenious Northgate Staircase Locks, idle away a moment watching the boats in Chester Basin. There’s something to see at every turn in Chester. Breakfast and Dinner is included. By private coach to the Llangollen Canal at Trevor for a breathtaking aerial cruise across another of the ‘Seven Wonders’, the spectacular Pontcysyllte Aqueduct. Crossing 126ft above the River Dee, it is the highest and longest aqueduct in Britain and a World Heritage site. We continue by road to Llangollen with time to look around the delightful town before a thrilling steam train ride* along the beautiful Dee valley to Carrog. Alight at Berwyn on the way back and trace the canal feeder on foot to Llangollen – or stay on the train. Bid farewell to beautiful Cheshire as we take our homeward trains. Situated in the heart of Chester, directly opposite the railway station, the Queen Hotel is characterised by its elegance and Victorian heritage. The en-suite bedrooms offer modern facilities including direct-dial telephone, satellite TV, tea/coffee making facilities and free Wi-Fi. The hotel features delightful Italian gardens, bar and restaurant. Prices start from just £520 per person to join and leave at the Hotel, please contact us today for a quotation from your local railway station. You may be busy right now or would rather speak to one of our rail experts, about your plans, if our office is closed Simply fill in the details below, giving us some information about your requirements and we will call you back, at a time most convenient to you! If you request a callback we will call you back during our opening times stated below, suitable to YOU! Do you hold any railcards?